It’s really hard to believe that this series is coming to a close already because I feel like we’ve only just begun to really get to know the characters. With the way things are going for KyoAni, with both Chuunibyou and Tamako Market getting more projects tin the future, I can easily see them doing more with this series in the future. It has high marketability after all, and they’ve only scratched the surface with a lot of the characters (a remark that I found myself making a lot when talking about Tamako Market). Also, I think it’s fairly simple enough to extend a sports series, just by adding more opponents for the team. 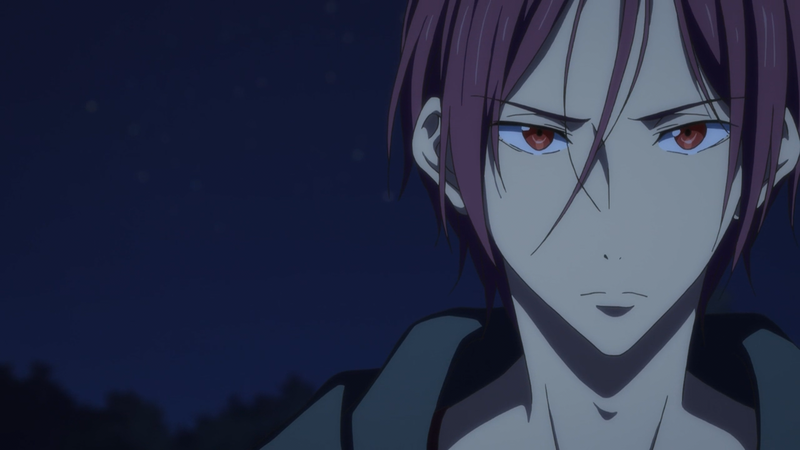 I’m honestly pretty surprised and impressed by Rei’s confrontation of Rin. Despite being a complete newcomer, or maybe you could because of this, Rei takes it upon himself to confront Rin about the truth of his past. 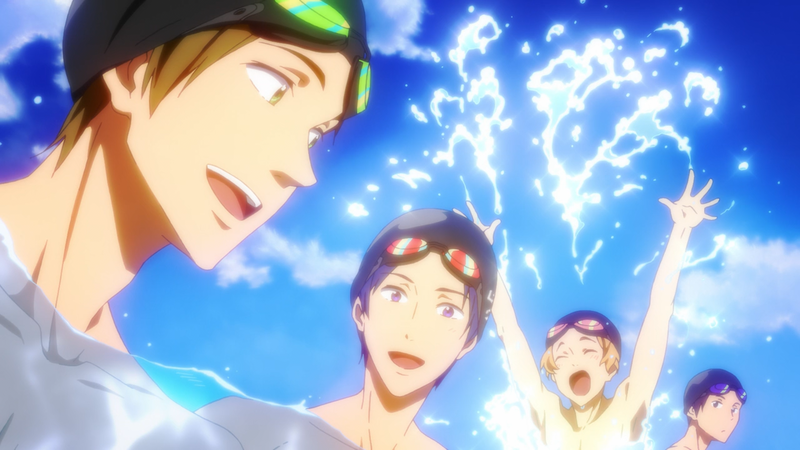 He didn’t quit swimming simply because Haru beat him in a race, it was also because he lost the fire behind the sport when he went to Australia. Essentially, once he experienced the fun and the excitement of swimming a relay, nothing felt the same and nothing could match that sensation, especially not the strict style of swimming he was learning. It all boils down to the fundamental theme of the series, which is appropriately the concept of freedom. It isn’t necessarily doing things without a care or being tied down, but rather doing things that you’re comfortable with and that make you happy. 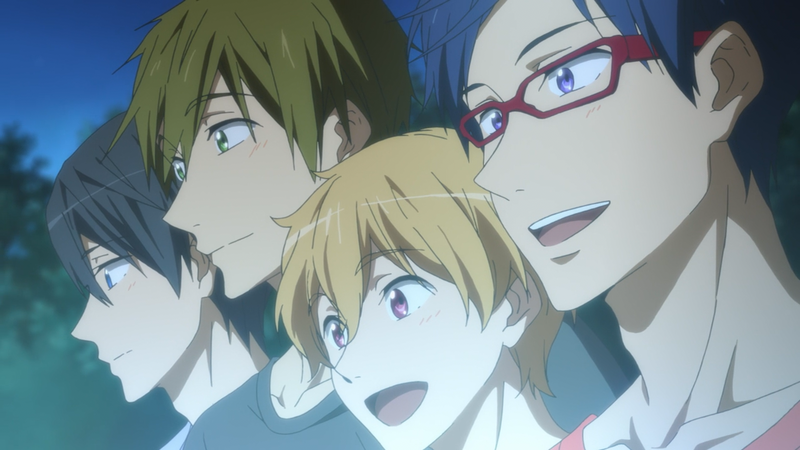 All of the characters seem to agree that they feel most free when they’re swimming with their friends. I was kind of disappointed that the team’s trip to the tournament city was cut down to a short montage. I really like slice of life, and it’s not often that we get to see an all guys cast in one, so I would have liked to see more of those events and scenarios. Sure, I’m all for constructive plot progression and all, but I can’t help but want everyday adventures with some great characters as well.